The Binti trilogy resides for me in that corner of the Appalachian Mountains I first picked it up: 14.5 acres of oak trees, milkweed, and a prolific flora only Nnedi Okorafor could bring back to memory with renewed magic and beauty. What I read in her novellas came alive in the landscape. Okarafor, the magnetic prose writer she is, made me adventurer and brave protagonist in my own right, and in my own little corner of the planet. Okorafor’s first novella followed the daring journey of Binti, the female protagonist and daughter of a divination-device architect. 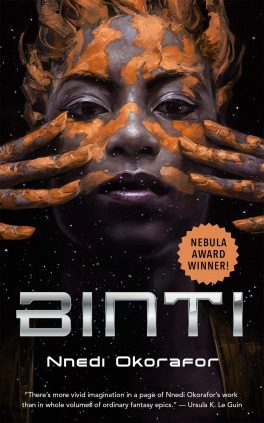 Binti leaves her home planet and long lineage of tradition, disavowing desert Himba tradition, to become an intergalactic scholar and seeker of knowledge. 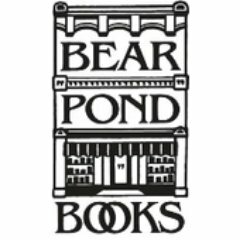 With trepidation, I, too, travelled up a hill of dandelions to board Binti’s ship, gripping the novella as I placed my muddied boots on the frame of my log cabin. With each turn of the page, I moved with a character experiencing for the first time an array of alien species passing through security to a boarding bay. I gasped when I met creatures onboard, like the squid-like Meduse of a far-off ocean planet. After unspeakable disaster struck the ship and its passengers, I marvelled at the strength of Binti, the peace and understanding she found amongst horrifying conflict. The first novella ended with an astonishing lesson on forgiveness, something I never expected in light of such tragedy and loss, but treasured immeasurably on my journey with Binti. The second novella held fascination between my neighbors horse stable and the only ethernet cord available. Binti’s journey was coming to life again from the light of the e-reader, the magical biology, the intriguing cosmology of physics, the explorations in space that always promised more adventure… the magnetism of it all was growing. Binti: Home tackled the issue of identity and how we, as humans, construct ourselves. What do we claim of our heritage, culture, family history and origins? Though the answer was not that simple for our protagonist when a possibility for genetics to expand to intergalactic species suddenly emerged Binti made a second journey through space to return home, and asked these questions of provenance and self, not only from the desert Himba where she was raised, but of the hidden ancestors she has yet to discover. Again, Okorafor not only asked for the attention of the reader in this exploration, but for the involvement in a discussion about diversity, culture constructs, and the number of identities we can truly accept. While crossing the moorlands of a mirrored galaxy, the end of the novella at hand, I found the answer was all. By the third novella in the series, I, once again, was sitting by a cabin fire, gripped with anticipation. The flicker of the flames on the logs were currant, a color I knew intimately in the otjize Binti wore on her body, a sign of her Himba heritage, and of the home that was now engulfed in fire. Would her family and culture survive? Would she persevere? Shivering, I marveled by the fireside at the thought of what it would mean if Binti and the Himba failed to prevail through war. Yet, with the the hum of the coffee machine in the cabin kitchen, I warmed and remembered the harmonizer, her father’s divination machine; I remembered the writhing of the okuoko curls on Binti’s head and the ring of the ancient edan held close to her. I then realized Okorafor’s series posed questions extending beyond the protagonist’s fate, as well as the science fiction framework. Okorafor was asking me to question my faith, my sense of identity and self, both separate and linked to my culture. Could Binti accept all her identities, all her experiences, even if it meant constant struggle and negotiation? Could she travel back into trauma, into memory, without shuddering with pain and fear? Could I, the reader, practice Binti’s courage in my own life? 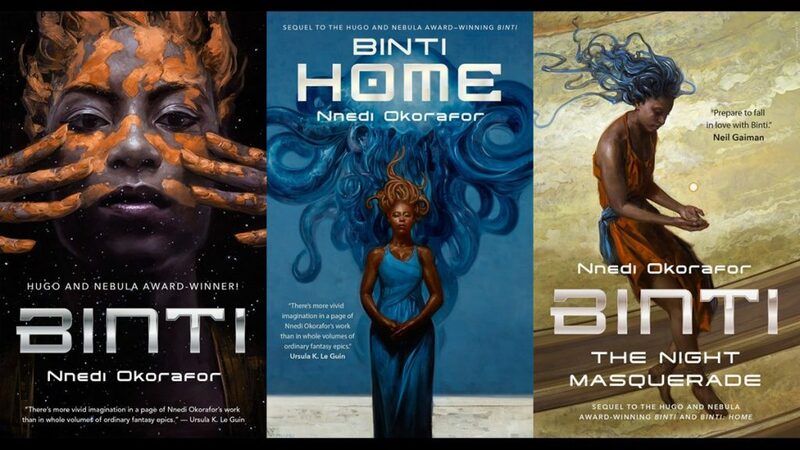 The Binti series is published by Tor.com.